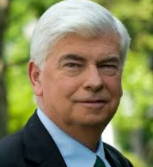 The following is a statement from Senator Chris Dodd, Chairman and CEO of the Motion Picture Association of America (MPAA), on the introduction of a Senate companion bill to the Register of Copyrights Selection and Accountability Act of 2017. “Today’s introduction of a Senate companion to the Register of Copyrights Selection and Accountability Act establishes bicameral support for the legislation, in addition to the overwhelming bipartisan support for the bill, as demonstrated by the 378 – 48 passage in the House last week. “The MPAA thanks Chairman Grassley, Ranking Member Feinstein, and Senators Hatch and Leahy for their leadership to bring the Copyright Office into the 21st century. Making the Register a nominated and confirmed position reflects the importance of the U.S. copyright industries and ensures the Copyright Office is directly responsible for administering the law at the foundation of America’s $1.2 trillion creative economy, which supports 5.5 million jobs.